Shop online for 135 new hobby arts and crafts at discounts up to 37%. 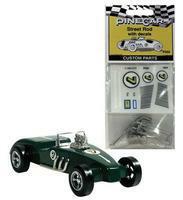 Pinewood Derby is the most popular of the 4 new hobby arts and crafts categories, then Arts & Crafts, and Jigsaw Puzzles. Pine Car is ranked #1 out of 7 new hobby arts and crafts manufacturers, followed by American Art Clay Co., and Buffalo Games. 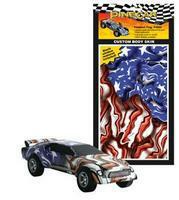 This is the Gator Custom Body Skin from PineCar. 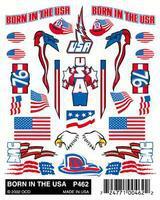 This Is A Sheet of PineCar Dry Transfer Decals (Spyder) for Your Derby Racer. This is the Total Hub Shaper from PineCar by Woodland Scenics. 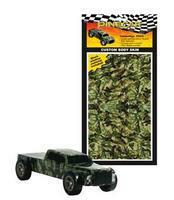 This is a "Raptor" Stick-On Decal Set for Pinewood Derby Cars from Pine Car. 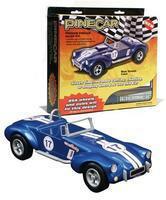 Complete Pinewood Derby car kit. Requires no woodworking skills as the car body is pre-cut and shaped. Ideal for Boy Scouts, youth camps, school projects, and church groups.